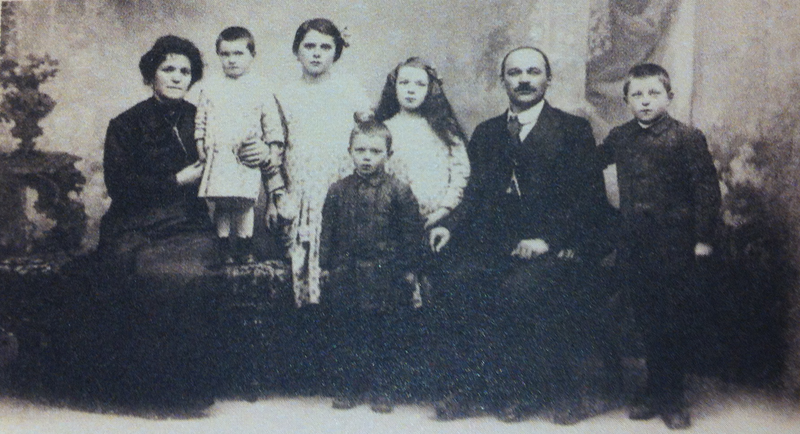 </p> <p style='text-align: center;'><strong>TranquilloLoison </strong></p> <p style='text-align: center;'>in a family portrait dating 1918.</p> <p>Next to him is his father Alessandro, on the left is his mother Lucia Negrin and his sisters Dolores, Mafalda and Sandrina. In the center is little Domenico. It is in this building, located in Monticello Conte Otto, that our story begins. The family residence is on the second floor, above the shop. From here, Alessandro Loison runs his business, selling groceries within walking distance of the town’s City Hall. He is married to Lucia Negrin, with whom he has five children: Mafalda, Sandrina, Tranquillo, Domenico and Dolores. 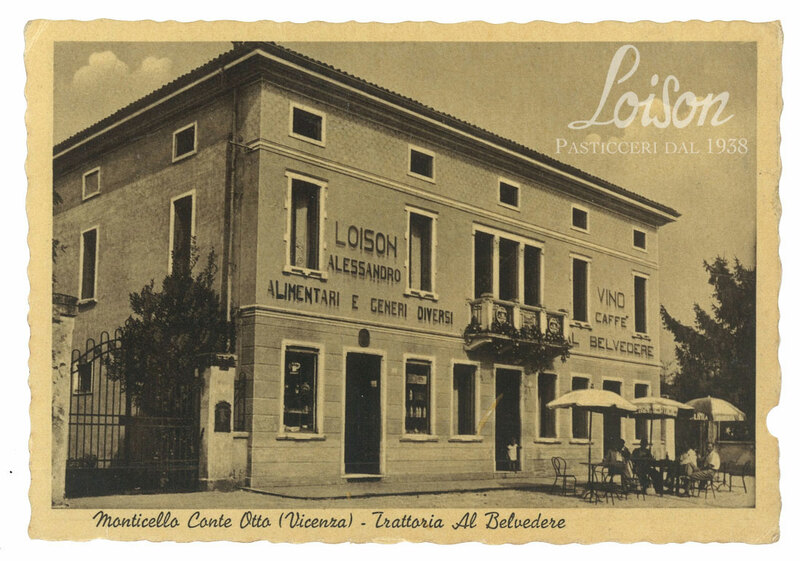 Tranquillo Loison was born on July 30th, 1908, in Monticello Conte Otto, a small town on the outskirts of Vicenza. At a young age, he begins working as a baker and, when he is just seventeen, he compiles his firstrecipes: on a small blue notebook, he jots down the ingredients needed to make bread, cookies and a few simple traditional cakes. 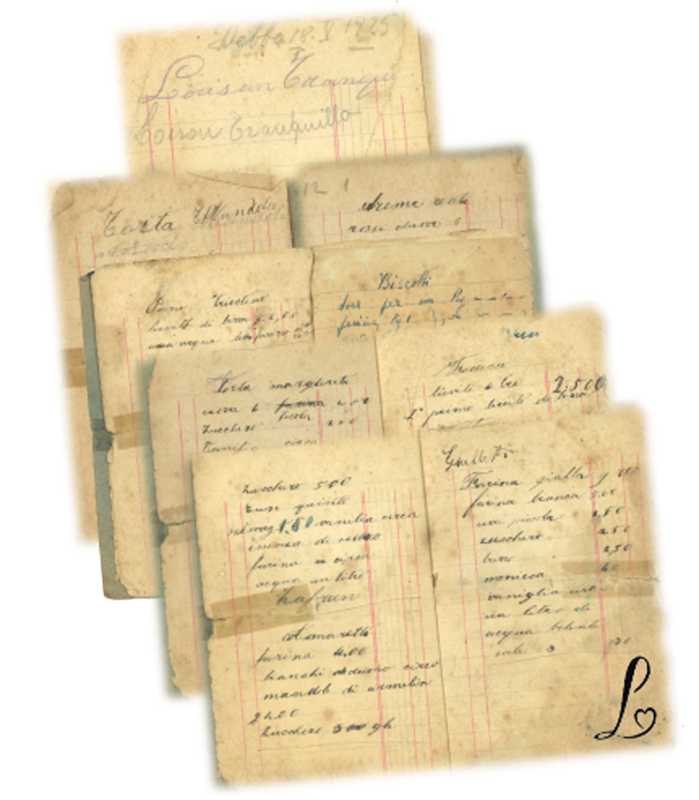 In the twenties, he works in a bakery that he is renting in Bastia di Rovolon, in the province of Padua. There, he learns the secrets of bread-making.